Monday group the last session for S20 Gateshead will be Monday 1st April and return on Monday 29th April. Thursday group the last session for S20 Gateshead will be Thursday 4th April and return on Thursday 25th April. Due to work commitments all sessions (11th February only) will be cancelled. Due to the ice still on the pitch,the school have cancelled tonight's session. Any doubt with weather is best to check website news section.This is our channel to communicate with parents as mentioned on front desk.Apologies for any inconvenience caused. Due to the snow and ice still on the pitch,the school have cancelled tonight's session. We hope you have all had a lovely Christmas and ready for the New Year at S20. The coaches have been busy over the Christmas period developing new session plans for your child. The 7pm - 8.30pm group will continue to have 1-1 coaching with the brilliant new benches, as the results have been tremendous. We notified you in November 18 that due to increasing business costs we have been left with no option than to increase your child’s session cost at S20 for the 7pm - 8.30pm group. We have tried to keep this as low as possible over the years. The monthly fee of £19.34 with change to £22.50, a small increase of £3.14 per month for an hour and a half training session. This will start in January 2019 and only applies to 7pm-8.30pm groups. Can we ask you to change your standing order starting from 20th January 2019. If you have more than 1 player attending S20 you will received a text with the new costs, if this not the case please speak to the team on the front desk on your child's next session. With the weather changing its important everyone wraps up well. Layers are always the better option. Thank you for your support with us and as always looking to provide the best coaching programme for your child. If you have any problems with this please come back us. Its games week starting 7th January! Due to the drop in temperature the school have cancelled access to the pitch due to ice. Looking for a free soccer session? No sessions Monday 22nd and Thursday 25th October due to school holidays. All sessions resume week commencing 29th October. Soccer20 Gateshead starts September 2018. We are thrilled to announce that Soccer20skills Gateshead sessions will restart on Monday 3rd September and Thursday 6th September 2018. Times and sessions will remain the same for your child unless you have been informed directly by one of the coaches. For those of you who are new to Soccer20skills.com, we have been running now for over 10 years and work with some amazing young people who love football as much as us. If you would like to join the journey, please contact us at info@soccer20skills.com. Here in the UK, there is a perception that youth football hasn’t developed players with the technical skills in the same way it has elsewhere in Europe. The FA have worked hard to try and change this with the England DNA future player program. There is hope that this is will change how we are making our children approach the game early on at the grassroots level. However, there is still this idea that if you aren’t winning, then you aren’t good enough to be playing. And this mentality dissuades a lot of talented players from carrying on. Now the argument is not to belittle the importance of winning or that it doesn’t matter. But rather that you learn to accept a loss, learn and practice to overcome the same or similar problems when faced again at a later stage. I like to think of failure as a stepping stone, one that enables your players to win when the time is right. Here are some things that you should learn to pick up from failure. At the heart of failure is the experience that it leaves you with. When we fail, it develops in us a deeper understanding of the game and life in general. The pain of failure alters your frame of mind and pushes you to reflect on things you otherwise might not have. It makes you ask the question “what can I can do different, or what if I do it like this”. When you’re receptive to failure and accept it for what it is you walk away a better version of you. We have all heard the famous Thomas Edison anecdote, where he failed nearly 10,000 times before finally managing to create the light bulb. Now had he given up on one try less than the ones he had to attempt to get there, how differently would things have played out. It was that one defining attempt, though for the 10,000th time, that marked the threshold for his success. Instead of growing disillusioned, he chose to harness what he learned on every try and took that knowledge with him to the next one. We should of course encourage our young players to do the same! Instead of letting them get upset about the failure, try to support them to think about where improvements can be made. Challenge them to see what they might try differently, it might just be that they need to put more practice into and start working on that. As the cliché goes, what doesn’t kill you makes you stronger. Every time we deny failure the power to make us give up, we grow a little more resilient to it. And that resilience is what will take your players to that winning game. Resilience breeds success by destroying the illusion that things will materialize overnight and makes you accept that hard work is needed to make things happen. Our young players are individuals who have an enormous ability for personal growth. Unsurprisingly we have the opportunity grow more rapidly when we are faced with failure. It makes us understand why we are doing what we are doing, it demands of us to find the strength to pursue our dreams with greater determination. Teach your players to embrace failure. Use it to your leverage, revisit their goals, and most importantly, make an action plan that helps them to improve their game. Ball Mastery and ball control has become one of the most important aspects of football player development for coaches all around the world. When considering the need to develop technically better football players, ball mastery should be encouraged with young children when they enter the grassroots game, in particular the golden ages of 6-12. There’s definitely no doubt that in a bid to see an overall improvement in the English game, there needs to be a special emphasis on improving the players’ confidence on the ball, utilising individual training that focuses on helping them become more familiar with using all parts of their feet when in possession of the ball. The basic idea behind this way of thinking is that with a higher number of touches of the ball that a player gets, the better the chances of the player developing better ball control and therefore becoming a more confident and adaptable player. I have been asked many times as to whether this philosophy about ball mastery on an individual basis can translate into the actual football game. This coach believes that the answer is a definite yes. Developing ball mastery or individual technical training is not just about getting plenty of touches on the ball. It’s about the quality of touches that a player can get on a ball, with coaches supporting, developing and graduating sessions making sure that the young players are being appropriately pushed to stretch and test their abilities in a range of game scenarios. This helps to ensure that young players are able to transfer their skills into actual game craft. One of the most important aspects of mastering ball control is to ensure that young children are confident on the ball especially in 1v1 situations. When facing difficult 1v1 situations, a player is forced to learn how to make use of better movement patterns, learning to become unpredictable against their opponent. Ball mastery in tandem with 1v1 techniques is going to help young players improve their movement and help them become more confident in their decision making when on the ball. And of course, as players develop more confidence on the ball, they are more likely to make use of both feet for passing and for shooting. There’s no player that’s as dangerous as someone who’s willing to shoot and shoot well using either foot and knows how to retain the ball well. Quite a lot of coaches leave it to the children to show them what they’ve got. The issue is that if there’s no pressure on a player, there is barely any chance of that player being able to implement ball mastery, skills or feints in the actual game. There should be deliberate ball mastery sessions that coaches conduct, where the players are facing game scenarios, and have to control and manipulate the ball at the pace of an actual game being played. The more challenging it gets for the young player, the better the chances are of them developing their skills into real craft. Lastly it is also important to note that if you introduce children to new techniques and then let them explore those techniques, you will be helping them become more creative alongside becoming confident with the ball. Coaching technique whilst allowing children to improvise on the detail at the grassroots level will lead to better players over time, be patient, by installing ball mastery into session plans young players will continue to improve their game and perhaps dominate the professional world as they grow older. 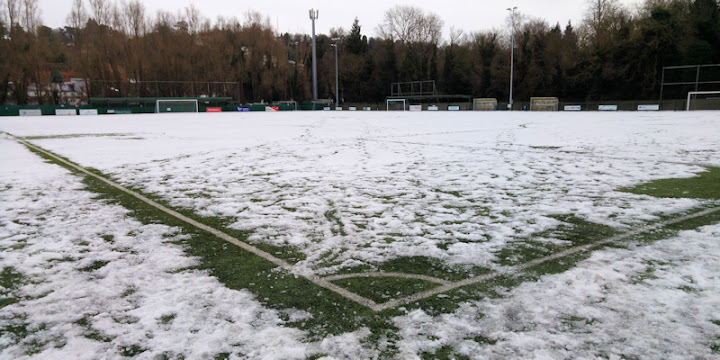 Sessions are cancelled due to snow on the pitch. Tonight's sessions are cancelled outside due to snow and ice still on the pitch. All indoors sessions go-ahead as normal. See you all next session. Tonight's sessions are cancelled due to snow on the pitch. Soccer20 Gateshead kicks off again…. Hope you're enjoying the Christmas break. Just a quick reminder to say we start again on Monday 8th January. We will be kicking off with our new style Games Night, which includes player transfers and values. Good luck to everyone returning to school. See you all Monday or Thursday. Hope you're enjoying the summer break. Just a quick reminder to say we start again on Monday 4th September. We will be kicking off with our new style Games Night, which includes player transfers and values. Good luck to everyone returning to school and to those who are starting their new schools next week. Since we were born, we've been given the potential of being creative. We only differ in how well we exhibit this creativity and in the areas in which each person is able to become creative. Most of us have been more creative as an infant than as an adolescent or adult, because there are more opportunities and possibilities to play at the pre-school stage than later on in school. Therefore, in general, the development of the capacity to be creative and to become even more creative is not obstructed in kids up to 6 years old. This is considered as being normal. Nevertheless, when the child starts school, the evolutionary process can cease. This is due, in many cases, to the negative effect of the teaching methods with intentional orientation and very strict norms. Suddenly, the available time to play is reduced and school frequently suffocates this development which was occurring naturally. When playing football children face the same problems in developing their creativity because of traditional coaching practices. Many of the methods that for decades have been essential components of the learning-teaching process in the football world, are now-a-days obstacles that inhibit the expression of the creative potential within each child. To overcome these important deficiencies, the following conditions have to be created to again see the growth and maturity of more creative players in our football fields. The "11:11" game has for many years choked, like a cancer tumor, the vigorous development of young football players. It should be replaced by another type of competition, which should be tailor-made for children less than 13 years old. Games like Mini football (3 vs.3 on 4 goals) for 8-9 years old, 7-a-side football (10-11 years old) and 8-a-side football (12-13 years old between both regular penalty areas), offer the adequate frame (space and amount of players, ball size and weight) for the children to express their creativity and inspiration in a more healthy environment that does not contain the stress of the 11-a-side game with their adult- orientated rules (see the articles referring to the advantages of Mini football,7-a-side and 8-a-side football in comparison to the traditional football game 11:11). Frequently, the game 11 vs.11 is still used now-a- days as the preferred practice method for preparing the weekend match. It should be replaced by more attractive and from the learning point of view, more efficient simplified games which use fewer players. In the "big game" on a regular field, the young player is generally condemned to become passive, participating very seldom in plays where he can exhibit his creative skills. MORE GAMES AND LESS ANALYTICAL EXERCISES. PRACTICING SHOULD HAPPEN IN A GAME CONTEXT. Statements like:" You only learn to play football by playing it" must be re-discovered and have to be considered in the planning of all training sessions in which drills are still dominant and excessive. Children should be exposed to more game plays (global method) and less practice with the analytical method. The practice should happen in the game. LET THE KIDS PLAY, WITHOUT CORRECTING THEM CONSTANTLY. When playing it is not necessary for the young football player to know exactly the specific learning purposes. Knowing the learning aims is always important for the coach but not for the player. The player should frequently have the possibility to "play", or "play just for fun, without necessarily having any specific learning as a main objective". We should not forget that one essential part of the game is its unpredictability. This explains why the game is so fascinating for kids. As Buytendik said: "Each game starts with a movement, which consequence is not completely predictable and which therefore has an element of surprise". We should give children the opportunity to explore and to discover through "playing", to infect them with the creativity shown by their teammates and opponents and without having the coach interceding frequently. By correcting from the start we expose the young player to an intensive pressure. Being stressed is a contradiction to the development of creativity. Friedrich Schiller states perfectly, with the following words, the vital meaning of playing games for the human being: "The human feels and behaves like a human when he plays"
HAVE THE POSSIBILITY OF PLAYING IN ALL POSITIONS AND IN REDUCED SPACES. Young football players up to 13 years "should have the opportunity to play in different positions in order to discover the roles and functions which these positions characterize". To experiment by playing in different positions stimulates the creativity. For example, the 8-9 years old players would perform the many variations of the Mini football game (3 vs. 3 on 4 goals) instead of playing 7-a-side football or 11:1. If those 10-11 years olds participate in the 7-a-side game instead of competing in the 11- a -side match and if the players of 12-13 years would play tournaments of 8-a-side football instead of championships in 11vs.11,then the problem would be solved since a competition with less players in a reduced space stimulates the creativity. On the other hand, the full game in a regular football field only tires the young player physically and intellectually, limiting his creative play. ONLY THOSE WHO ENJOY THE GAME CAN BE CREATIVE INDIVIDUALS. Each training session should include a great variety of games (and not only football-specific ones"). When the children play, they should have fun and be keen on the game. If the young player does not identify himself with the proposed game that the coach has designed, the creative capability will remain asleep. The more the players are enjoying the game and the ball, the more it stimulates the development of a creative way of interpreting the football game by the young football player. Bohm and Peat (1988) maintain in "Science, Order and Creativity", page 255-256, that "the establishment of objectives and patterns of behaviour as well as the obsession of efficiency produce a rigid knowledge which blocks the free flow of thinking and movements, both necessary to lead to a creative behaviour of the player"
"Creativity is to meet your self, to experiment and explore new things, to transform, to remodel, to have fun, to travel into a world of dreams and to do new things with joy and pleasure, using your fantasy and imagination"
GIVE THE PLAYERS THE POSSIBILITY TO CREATE THEIR OWN GAMES AND RULES. The coach should not only make sure that the objectives of a simplified game are mastered by most of his players, in accordance to his plan, but should frequently encourage the children to create different games through modifying the rules proposed by the teacher. Frequent rule changes, introduced by surprise during the practise of the game, force the players who want to win to adapt to the rule changes, using their creativity. Several variations of Mini football with 4 goals, played in a reduced space, are particularly effective in stimulating creativity in young players. Also during the training session, from time to time, the coach should give his players (perhaps for 10 minutes) a space to play freely, to do what suits them best. This could be done in any part of the training session. Once the young players are familiar with the "generosity" of the coach, not only their imagination and fantasy will grow, but also their sense of responsibility, personal initiative and their daring to improvise and to be creative. This may also increase the possibility of creating a leader within the group of players. The young players must grow "with the ball". That means in the same way they are progressing physically and mentally in each stage of their development, also the size and the weight of the ball has to "grow" ( using balls nº 3 and 4 as well as balls of different materials and different characteristics in their bounce and flight behavior). The young players, especially those of 7 to 12 years, should not be pressured by their coach to quickly pass the ball in order to allow a better team-play and winning. They should frequently have the opportunity to "be in love with the ball", to dare to improvise their play and take risks, without fearing the possible consequences of having committed a mistake or to have lost the possession of the ball. Unfortunately this no longer exists, because winning has become too important, even at the lowest levels! Young players who " treat the ball as their best friend" and often do their own thing are frequently more creative than those who are coach-orientated and accept what the coach demands. To progress in their development of being more and more creative in the football game, children should exhibit a certain degree of independence from their coaches! This is why young players should practise and play as often as possible without the presence of their coach (i.e. in the street, in the park, in the court yard etc.) because his absence allows them to feel more comfortable to explore their innate potential without the fear of getting criticized when making mistakes. Once young children enter school the left hemisphere of their brain, where logical thinking, calculation with numbers and the verbal expression are located, is mainly getting stimulated. Pupils are expected to solve the tasks (generally "closed", perfectly defined tasks) along the lines indicated by the teacher without being allowed to contribute something of their own to the solution of the task or to be creative. Nevertheless the development of the creative potential needs a systematic stimulation of the right hemisphere of the brain. That is why in school, like in football training, more than ever "open" tasks are needed. These "open tasks" require young people to be creative to find the best solution to the given problem. As long as the left hemisphere of the brain prevails in the scholastic classroom as well as in football training, less creative players will arise in the world of football. Learning in football, must be extended, more frequently offering the possibility to think and to learn incidentally and in divergent ways. The coach does not have to impose everything! It is not a doctor-patient relationship with set prescriptions. Instead of the coach being the main character in the teaching and learning process, he should often transfer responsibility to his young pupils and ask them, through systematic questioning, to solve most of the situations that he presents. A true master in teaching never gives the answers to the problems, but helps his pupils to find and discover them on their own, guiding them to correct results. The game of football itself must become the teacher and not the coach". Johann Wolfgang von Goethe says it with other words: "Our youth prefers to get stimulated rather than instructed". The excessive instructions given by the coach as well as the acquisition of automated and coach-directed football moves is not helping to develop the creativity of young football players. - In the training sessions more space or time should be offered to allow players to experiment new moves that occur to them spontaneously. A more informal environment - as seen when football is played on the street, the beach or in a park- helps to develop more creative players. - Any flash of creative behaviour in a player should be recognized by the coach who should do everything to encourage his players to be different and to look out for original solutions to the problems inherent in the football game. - The coach should look for ways that allow for the accumulation of new experiences in young football players so that these are not gained exclusively with the use of the analytical method, but whenever possible he should find a way to do it in a more attractive way through the application of the ' global' method. - The questions that normally a coach raises to help his players to find the solution, should from time to time be raised by the players themselves. Nowadays most of our young talent grows in an atmosphere which is noticeably hostile towards creativity. Their familiar and scholastic surroundings, especially between the ages of 7 and 14 years, are characterized generally by a "intentional direction" of learning (with strict norms), which is limiting personal initiative, independence, originality and the value of trying to do things in different ways. In most football fields, the young players are dominated by instructors, who allow relatively little freedom of movement and decision-making to the young players whose opinions are practically not taken into account. For the coach it is important to always have everything under his control. When a player departs from his norms, he is often chastised and told to respect the coach's directions. "The creativity of his players is the source from which a coach should drink daily." Often instructions are given to the players about what to do and how to solve the problem or where he has to position himself best on the field. If during a competition, the coach does not direct his players, many parents may think that the coach is not motivated nor is qualified for his work. In football training as well in school too much instruction from outside does not favor the personal initiative of the players. Many coaches think for their players, instead of stimulating them to think for themselves. Compliance has to have high-priority! If a player begins to show signals of autonomy and self awareness, he will receive a call from the coach to get in line. This way, over the years, the young football player gets used to following the coaches' instructions and plays according to the information received but without putting in his own thoughts and his personal flair. Huge shout out to Johnny Fenwick in the "States "who is our longest serving member of Soccer20skills. He's continuing in his footballing career from Academy,Scholarship,Professional,to his second year of an amazing scholarship at the prestigious High Point University in North Carolina (USA). Johnny is a regular member of the side and is absolutely living the dream out in America. Due to icey conditions on the pitch, tonight's sessions are cancelled. Always check on the news section on the Soccer20 website for latest session information. This is a guide on how you can become a top striker. As a striker, you will arguably have the most responsibility on your team. Here you can learn how to ease the pressure off you and find out how to score as many goals as possible in this short guide. As a striker, you have got to be capable of many different techniques to reach the very top level. Here are my best tips to how you can become the top striker you want to be. Even the best players in the world work on their touch day in day out. This is essential if you want to pursue the job of a striker. To have a ‘good touch’ you must be able to control the ball quickly. To improve this simple but effective skill you could find a wall and practise kicking the ball off the wall with one foot and controlling it with the other. It is important that you use both feet because in a competitive game you will have to be comfortable using both of your feet to control the ball. To start off, kick the ball softly off the wall. As you get better increase the power of your pass to test your ability. I assure you, if you practise this everyday your touch will improve massively. Shooting is absolute key for a striker. As a striker, this is the number one skill you will have to have if you want to be a successful striker. If you don’t shoot you don’t score. When shooting, you must have your body over the ball. If you lean back, the ball will fly over the bar into the sky. It’s all good hitting screamers into the top corners of the ball but we are honest you are more likely to beat the keeper from a low, powerful shot. To practice this essential skill, you should find a goal. Stand about 20 yards away from the goal and practice striking the ball with power aiming for the bottom corners. As you get better dribble with the ball and follow up with a good low, powerful strike. Also, ask one of your friends to go in goal and use him as a goalkeeper. This will make it more like a real game. As a striker, being comfortable on the ball will determine of you can play at the very top. If you are comfortable on the ball this means you will rarely lose possession for your team and you can also ease the pressure off the rest of the team if you can keep the ball comfortably. Hold up play means you will come short for the ball dragging the defenders out of positon. This will hopefully create space in behind. This will most likely trigger your team mates to explore the space and run into it. This will hopefully create a goal scoring opportunity. A team that enforces this is Chelsea. If you watch their team, Diego Costa (Striker) will come short and receive the ball to his feet. This always creates space behind the defence for players like Eden Hazard (Wide Midfielder) to exploit. As you hold the ball up top, you must have good support upfront with you to perfect this sort of move. A good tip is to always be in front of the defender so he doesn’t nip the ball off you. You also have got to be aware of your surroundings, make sure you know who is around you weather it’s a defender or a team mate. Heading is also important skill of you want to be a good striker. All of the best strikers can score with their head. You are likely to get a couple of good crosses from your wide midfielders in a competitive game and if you cannot head there are some golden opportunities wasted. You can practise this by getting three friends together. You should find a goal and set up this drill. One person should occupy the job of the goalkeeper and the other as the ‘thrower’. The thrower will stand next to the goal and they will throw you the ball head height and you will have to head the ball past the goalkeeper. Once you have got good at this, the thrower will turn into the crosser. They will cross a ball into your head for you to head it into the goal. If you practice this often your heading ability will increase quickly. You have got to have good movement as a striker. The best example of this is Sergio Agüero. He has fantastic movement. He runs the opposing defender’s crazy with his movement, he always seems to get in behind. If you make, positive runs forward this could result into a goal if your midfielder can find the correct pass. Be intelligent with your runs. Make sure you stay onside. A tip is to run along the defensive line until the pass is played. You could also make intelligent runs into the attacking midfield positon to disrupt opponents defence and formation. Take players away from their positon will create space in behind the defenders. Finishing is a little different to shooting. Finishing requires more technique and composure. Too many striker try to ‘smash’ the ball into the net instead of the simple option of slotting the ball past the goalkeeper. There are not many ways to practise this. Game time is essential for this important skill. However, a good, solid touch is important. Another thing which is important is decision making. The decision of chipping the keeper, slotting and placing the ball into the goal or smashing the ball past the keeper is important. This is a bonus as you can still be a successful striker without being skilful. If you are as skilful player this can get you out of the sticky situations you could find yourself in. For example, if you find yourself surrounded by defenders you could solve the situation by a simple ‘Cruyff turn’. To perfect your skills, you should be doing the soccer 20 skills every day. In a game, you could find yourself alone with a striker with lots of space in front of you. You should be looking to beat the player. Dribble the ball to penetrate the defence to create a goal scoring opportunity. Having the ability to dribble past opponents is certainly attractive and a person who is a perfect example is of course Lionel Messi. He glides past players easily and this is mainly because of his class dribbling ability. The best forwards when dribbling use small touches, slowly nudging it forward. This allows you to keep the ball in close control, reducing the risk of getting tackled. As the ball is under close control it gives you the ability to cut or turn if necessary. When practising move the ball around in all directions keeping the ball close to your foot. Start of slowly and increase the speed once you feel comfortable. You could set out some cones and dribble around them changing direction often. TEAM PLAY  Move the ball quickly and with purpose.  Be brave, trust yourself and each other.  Look to switch the play often (QUICKLY).  Quality of the final ball in the attacking third.  Increase strikes at goal – do not refuse crosses or shots.  Attacking set plays – do your jobs. TEAM PLAY  Defend as a team front to back.  Recover the ball quickly.  Narrow and compact team shape.  Deny them space to play through us.  Defending at set plays, do your jobs. A pitch inspection was carried out this afternoon (Friday 13th January 2017). The trials are set to go ahead as planned. Any update due to a change in the weather will be posted by 9.30am 14th January. Please refer to this website. Looking forward to seeing you all there tomorrow. Monday 19th- Open- All sessions on. Thursday 22nd - Closed- All sessions off. Monday 9th- Open- All sessions on. Outdoor session 7pm- 8.30pm- Off due to iced pitch. Run your own coaching business from £495 in your area. Full and part time football coaching positions are available region-wide to deliver football coaching to a variety of age groups between 5-12 years. You should be keen, sports minded and motivated to bring Soccer20skill.com’s innovative Online Player Development Tool into your day to day coaching to help your players develop further than ever before. FA level 2 or above coaching qualifications are essential. Passion for football and professionalism in your approach are the perfect start in this exciting and rewarding career which can work alongside your existing job or responsibilities. Flexible working hours - evenings and weekend work will be required. A full driving license and own transport. · Football coaching experience Experience of communicating with members of the general public and young children. · A personal commitment to sustaining professional working practices in the workplace at all times including excellent timekeeping and punctuality skills. · Proactive pre-session planning of each Soccer20skills.com activity session attended. · Punctual, accurate and safe delivery of the football activity coaching content in the Soccer20skills Academy programme during the session. · FA level 2 or above coaching qualifications are essential. · Monitoring and maintenance of a safe environment at all times during the session. · Reporting to and coordination with your employer to ensure the maintenance of high quality Soccer20skills Academy sessions at all times. · Please email your CV which must include demonstrated coaching to Anthony at info@soccer20skills.com References and a valid enhanced Criminal Records Bureau disclosure will be required. Please note this post is exempt from the Rehabilitation of Offenders Act 1974 under the (Exceptions) Order 1975. Due to the weather we are doing all sessions indoors tonight. Please bring suitable indoor footwear. Newcastle United visit for 4, 5 & 6 year olds. Soccer20skills are delighted to have been offered the opportunity to visit Newcastle United 1st team training ground. All Soccer20skills members aged 4, 5 & 6 years are invited, the invitation is FREE. This is a great chance for your child to perform on Newcastle United 1st Team training ground. If you have any questions please come back to us. Please park down at the bottom, just outside the indoor venue. The Mini Magpies will still be training when we arrive, so there will be a crossover of children/parents finishing their session and Soccer 20 arriving ready to start their session. As always we are reminded to respect the venue and at no time look to encroach onto pitches outside the indoor venue. NUFC Staff and Coaching Staff will be in attendance on the day and will be working with the S20 Team and members during the afternoon. S20 hope's everyone has an enjoyable afternoon and looking forward to seeing you there. Soccer20skills Academy is back, starting September 5th. All the latest news regards session times are below. Nicole joined in Spring 2015 with no experience other than a love of playing football with friends. Within a few weeks of starting s20 she started to flourish. She loved practicing the skills she was being taught . The great thing about s20 is that it caters for all abilities but encourages the kids to challenge themselves . Nicole joined her first football team and naturally without thinking used what she was being taught at s20 in matches. After a successful season Nicole decided push herself even more! after a trial she joined Sunderland Academy as a member of the under 10 team . I have no doubt that the skills, coaching and encouragement from everyone at s20 played an important part in Nicole's achievement . Thank you . Fancy running your own business either part time or full time? In one of these areas? We are actively looking for coaches who looking to start a part time or full time football coaching business in the following areas. Please note that due to the Bank Holiday, sessions will be closed on Monday 2nd May. Sessions will resume on Thursday 5th May. I started playing football at the age of eight for a local team, Whickham Fellside Yellows. I was a late starter in football compared to all of my friends who had already been playing for much longer than me, but I was still extremely keen to start playing! In my first season of football I hardly got any game time and I wasn’t very good at all. At times it was so difficult when the coach would only give me 5 minutes in a game and sometimes I didn’t get on at all. At the age of 9 I found Soccer 20 and I was one of the first kids to join, I wanted to try and develop myself into a better player. As soon as I joined, Anth Cole and the coaching team made me feel welcome and comfortable from the first training session. They gave me confidence in my ability and engaged me into learning a wide range of new skills and techniques. We would practice these skills every time I went on a Thursday night by joining a number up to the skill. For example, number one was to drop the shoulder and go the other way with the ball. With every new skill I learned I would go out on to the street and practice them for hours on end, and then try and take them on the football pitch with me! Soccer 20 was the opportunity for kids like me to play football and express themselves without fear. I was encouraged to be positive and not to worry about losing the ball. The sessions were fun and at the end of the night no one wanted the session to end. Being taught these skills (especially at such a young age) had a major impact on me as a player. It opened a whole host of opportunities for me as a young kid. I joined Middlesbrough development centre at the age of 10, and by the age of eleven I was playing for their academy! If it wasn’t for Soccer 20 I would have never been in the position that I was. Unfortunately, I was later released by Middlesbrough, and it was fair to say I was gutted. I thought it was the end of everything and I lost a lot of confidence in myself. However, with the confidence-boosting support of Anth, Kevin Bolam, Hodga, Sam Charlton and the rest of the coaching staff, I was soon back on two feet at Soccer 20 trying Cruyff turns, step-overs, you name it! I was enjoying my football once again. By the age of 13 I had developed into a better player than I ever had been before. I had improved a massive amount physically and had went through a massive growth spurt, making me go from one of the smallest kids on my team (I always was used to being called ‘little Jack’) to actually being accepted as at least, average size. I was playing at Newcastle City Juniors in the season of u14’s, prior to being signed up by Newcastle United’s academy. This was one of the proudest moments in my life, signing for the team I loved and supported from a very young age. However, with many good things come bad things. I was injured for the whole of u15’s season with continuous growing pains in my knees, commonly known as Osgood Schlatters. It was a big blow for me and I felt down and upset a lot of the time. I would try go out and train on it, but it didn’t help at all, so that’s when I had to start resting it. Then, my knees would feel alright so I would train for at the most two weeks and then they would start aggravating me again. It was a horrible feeling seeing all the lads outside having fun on the pitch while I was stuck in the physio room. With every cloud comes a silver lining, and I started an upper body program to help improve me physically to prepare me for when I would be back playing. As soon as I got back fit I felt a massive difference in my strength, and this was an aspect of my game that needed improvement. I suppose this was the only positive thing I could have gotten out of being injured for so long. A player who plays like I do needs confidence. I like driving at my opponents with the ball, beating players by the dribble and using skill and most of all scoring goals as well as assisting them. I was sharp back up to pace again in u16’s, and I felt quicker and stronger than I ever had before! I had a few injuries here and there which knocked me back but I never lost the determination and belief to keep going, even when things were not going great for me. Just recently I have signed a 2 year scholarship with Newcastle, which I was absolutely buzzing about! Words could not describe the feeling when I was told, and I’m still over the moon today! The hard work continues and what I do know is that whatever happens I have loved the journey. I wouldn't change a thing and I am going to give this my best shot. Finally, to any young kids reading this, I have to say I cannot recommend soccer 20 highly enough. I am absolutely certain that if It hadn't of been for the coaching and influence of Soccer20, I certainly wouldn't be where I am today. Many thanks Anth, I really appreciate it! We are delighted to advise that Sunderland Football Club have confirmed a game with the Representative Squads. Two x 8v8 matches – one in the Indoor Barn / one on the outdoor astro. Please report to the main car park at the Academy of Light, Sunderland Road, Cleadon, SR6 7UN for 6pm (no earlier if possible). Changing rooms will be available for the teams. All players to wear footwear suitable for artificial grass (no studs). Parents will be able to access the parents lounge and watch the matches from a designated area. Please note that both Soccer 20 and Sunderland FC will expect a no communication policy during games and respect to all players, coaching staff, officials and parents at all times during the visit. Games to kick off at 6.30pm (see above formats). Middlesbrough Football Club, Rockliffe Park, Hurworth Place, Darlington, County Durham DL2 2DU. Friday 13th May for U8s and U9s, meet for 5pm latest for a 6.00pm start. Please bring footwear for both indoor/outdoor. Wednesday 18th May for U10s and U11s, meet for 5pm latest for a 6.00pm start. Please bring footwear for both indoor/outdoor. Skills Challenge...........along with the normal S20 skills programme. Why not bring a friend and show them how good you are? Looking forward to see you all this week. Training will be once a month at the Soccer20 venue in Gateshead (Cardinal Hume School). Cardinal Hume School, Old Durham Road, Gateshead, Tyne and Wear NE9 6RZ (outdoor - Astroturf). U8s & U9s will take place on 1st February, 7th March, 18th April, 9th May, 6th June. 6.30pm to 8pm. Please meet 15 minutes prior to your session starting at the sports hall reception, where a member of the S20 Team will meet you. Your U8 coach will be Sam Charlton. Your U9 coach will be Joel Errington. U10s will take place on 8th February, 14th March, 11th April, 16th May, 13th June. 6.30pm to 8pm at Cardinal Hume School. Please meet 15 minutes prior to your session starting at the sports hall reception, where a member of the S20 Team will meet you. Your U10 coach will be Alan Evans. Your U11 coach will be Chris Hodgson. Venue is the Academy of Light. Please save this date and more details will follow shortly. Timings are likely to similar to previous game. The Pin Point Recruitment Junior Football League’s under 8’s representative side took to the pitch for their first game on Friday against a very good Newcastle United side. The squad has only trained once since being selected in January, but looking at their performance you would think they had been playing together for a long time. They played a different format to their normal club football but they adapted extremely well to the 7 v 7 game and looked very comfortable playing together. From the very first whistle the team were excellent, very confident on the ball whilst in possession and working very hard for each other when out of possession. Many players played in unfamiliar positions at certain points in the games, but they all excelled in the positions they were asked to play. Every player, from front to back was a real credit to their boys club and to the league, their play was excellent, they played the games in the right way, smiling and enjoying the experience throughout the evening. There was some moments of individual brilliance and some outstanding goals scored, both from a team play point of view and also individual. Speaking to the team after the game, they all said they loved the experience and the freedom to play in different positions as well as being confident to try new things. The squad is looking forward to their next training session and preparing for the next set of games. Congratulations to Shaun Lothian from our monday sessions who has won the Newcastle United signed shirt. Thank you to all the parents who entered and a BIG thank you for the fantastic feedback. The winning entry was drawn by Preston Leech who is the goalkeeper for the pinpoint representative squad. Last session will be Monday 21st March. Sessions start again Monday 11th April. This is line with the school holidays. Hello from all the team at Soccer20skills Gateshead. Training recommences this week in Gateshead following the February holidays. We hope you've all had a nice break. Spring is here and the lighter evenings so its a great time to get back into your footie. Thanks for the continued support of all of our members, parents and team who have kept going throughout the bad weather, some of the kids have sheer grit and determination. Soccer20 is continuing to be a huge success in our newest areas of Middlesbrough, New Zealand and Kelso in the Scottish Borders. We recently visited our Kelso Team, with over 40 players on the day. More on this to following in our news updates. This month's topic is 'passing'. Last month's was 'receiving', where player's were taught to receive the ball in an 'opposed' and 'unopposed' situation; with game related sessions incorporating this. We will be continuing with the Skills Challenge over the spring/summer months. This has been very successful throughout the Academy as has 'the best of the best', with some outstanding results and achievements. Most of all the kids enjoy. Email a review/testimonial of why you or your child loves soccer20skills.com. Emails to info@soccer20skills.com. Please let us have your name, contact email and your player's name. Write a review on google using the soccer20skills.com search and look to the right hand side of the search listings to write your review. Deadline for entries is Midnight Saturday 5th March. The winner will be drawn at Soccer20 Gateshead on Monday 7th March by one of our s20 players. (*T&Cs apply. Soccer20skills have the right to withdraw the promotion at any time. Limit of 2 entries per player). Get your team involved in this... not many places left,excellent family fun day!! !